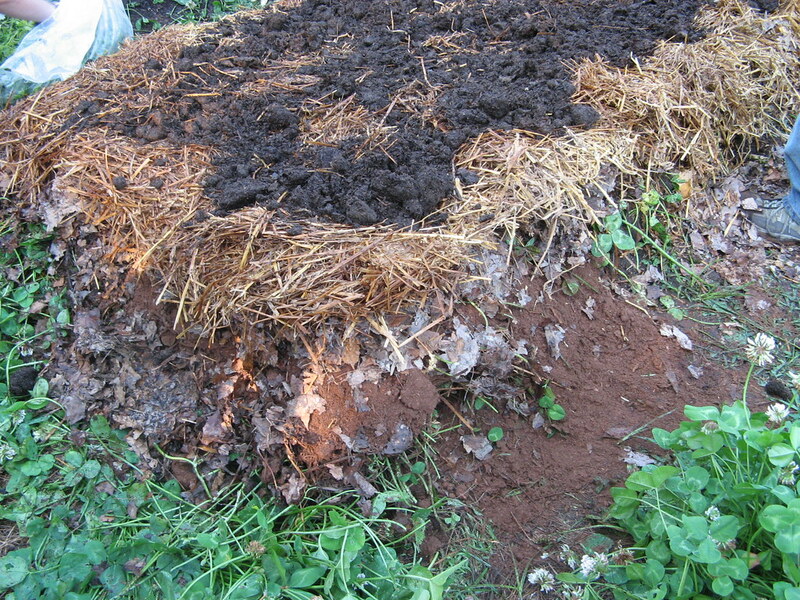 Sheet composting—also referred to as lasagna gardening—is an age-old technique often used to enlarge a perennial border or convert part of a lawn into a vegetable patch. 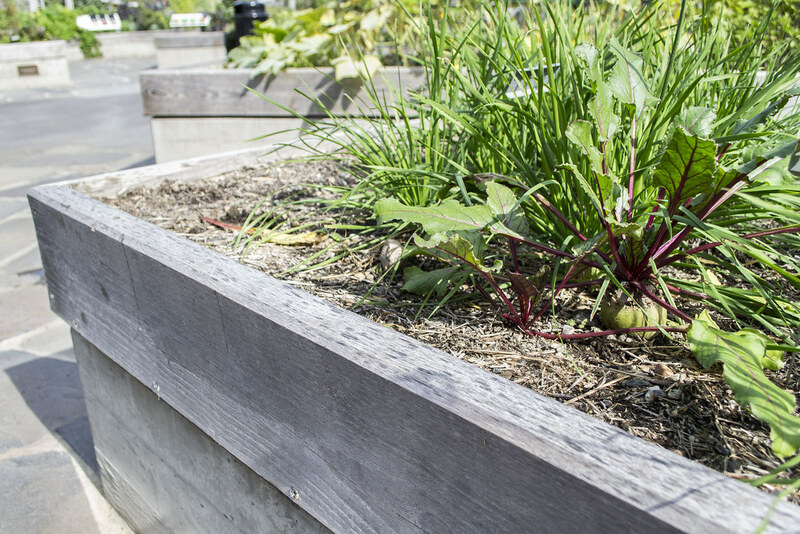 In urban gardens faced with poor or contaminated soil, it’s also a great way to fill a raised bed with a healthy growing medium for edibles. Heavy feeders like tomatoes and peppers will love this nutrient-rich garden. Autumn, with its abundance of fallen leaves—a key ingredient—is a good time to begin. Here’s how to do it. You can vary the dimensions to fit your space, but a four-by-eight-foot bed, two to three feet high, is typically a good size. If a soil test reveals lead or other contaminants, lay down a layer of landscape fabric to prevent roots from growing into the contaminated soil while allowing air and water flow. Be sure to use non-pressure-treated lumber. Begin with a layer of cardboard on the bottom of the bed, which will break down very slowly as it smothers weeds and soaks up moisture. Chop up some twigs, small branches, or hedge trimmings into one-inch pieces and layer them four inches thick over the cardboard—this will provide good drainage for the bed. Add an eight-inch layer of fallen leaves or straw, and then water your bed. Next, lay down two inches of well-rotted manure or compost. Then add about four inches of grass clippings or other yard waste, mixed with salad greens and coffee grounds. (Avoid adding other kitchen scraps, as these might attract rodents and other animals.) Cover this with a fluffy, eight-inch layer of leaves or straw. Then start all over again, layering brown materials, compost, and greens, until your bed is full. Water once more and leave it to decompose over the winter. When spring is near, you'll notice that the bed will have shrunk in bulk; simply add more materials to fill it up again. Come planting time, add a six-inch layer of soil and plant your garden. A little organic fertilizer like blood meal or fish emulsion will give it a jump start. Water deeply. By the time you’ve harvested the last of your vegetables in fall, much of the organic matter will have decomposed, lowering the level significantly. To prepare your garden for the following year’s planting, begin the process over again, omitting only the cardboard base. 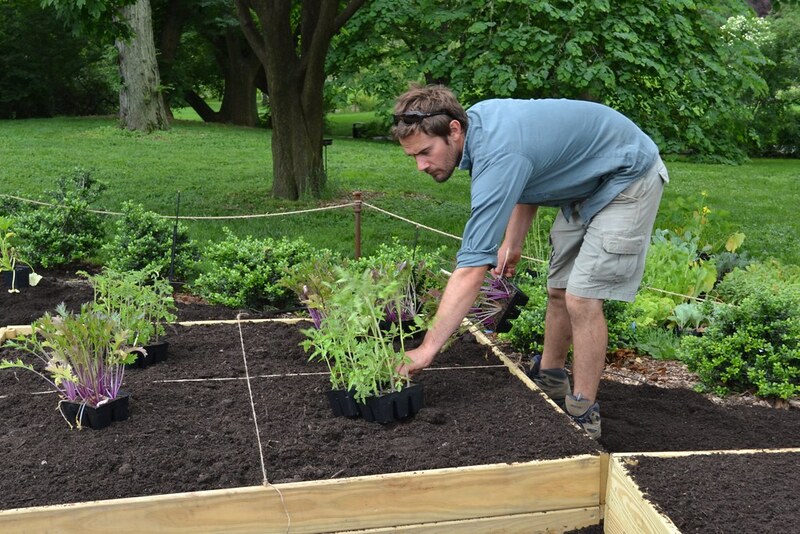 This article was originally published in Brooklyn Botanic Garden's handbook Easy Compost. Is it possible to make a lasagna garden with food scraps (vegetables and fruit) in an apartment? I’m thinking that there won’t be enough bacterial activity to decompose properly all the scraps. 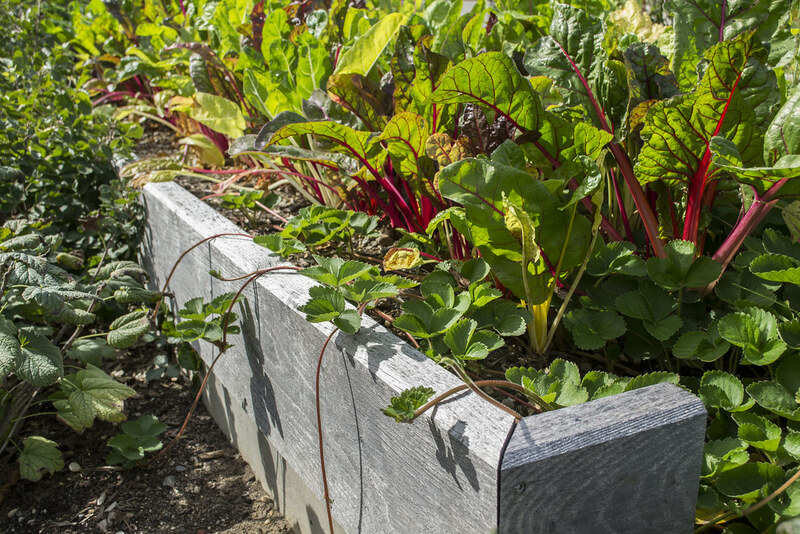 Raised beds can be used for sheet composting as well as growing vegetables. Photo by Alvina Lai. This is what the layers of a lasagna garden look like without the raised bed frame. Photo by Nina Browne. Spring planting in raised beds. Photo by Elizabeth Peters. A raised bed in the Discovery Garden. Photo by Alvina Lai.